Infinix Hot S4 also known as “Infinix S4” features triple rear camera setup at the back, 32MP selfie snapper, Android 9 Pie, 6.26-inch display, quad-core MTK Helio P22 processor, 4000mAh battery and lots more. 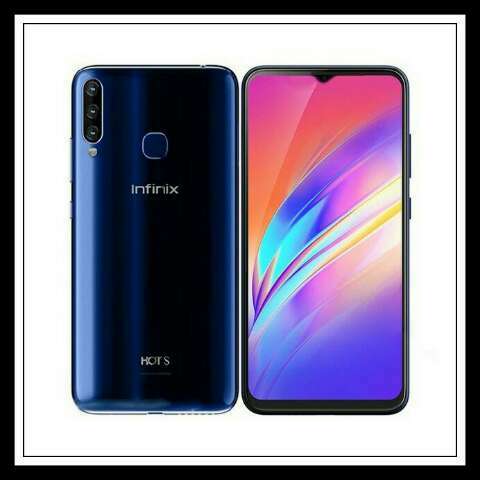 The Hot S4 was launched alongside its bigger variant – Infinix Hot S4 Pro on April 10, 2019. Both smartphones shares the same specifications except in the memory aspect were the Infinix S4 Pro has 6GB of RAM and 64GB of inbuilt memory while Infinix S4 has 3GB of RAM and 32GB of inbuilt storage. That’s the main difference between the two phones. Aside from that, other things looks the same. This device is a very good upgrade to its predecessor – Infinix Hot S3 which was released last year. The high specs of this phone will definitely place it among the high-end smartphones of the year 2019. Especially the S4 Pro model. 3GB RAM and 32GB built-in storage. Checkout the adorable features of the Hot S4 smartphones below. The device features an IPS LCD display of 6.26 inches which supports 720 x 1520 pixels. It is made up of a 2.5D Glass body with slim bezels surrounding the screen and end in a more massive chin. At the top, you will find a teardrop notch that houses a selfie camera. The back panel of Hot S4 is made of a glass material which also houses the rear cameras, its LED flash, and a fingerprint sensor. Its appearance is classy and trendy. The phone is available in red, blue and black color options. One of the exceptional features of the Hot S4 is its triple rear camera setup. This assembly consists of three cameras – a primary 13MP sensor, secondary 8MP sensor, and an additional 2MP wide angle camera. Below the cameras is a Quad-LED flash to illuminate the darkest environment for near perfect pictures. Also, the cameras can shoot 1080p videos at 30fps. For selfies, the Infinix Hot S4 uses an incredible 32MP camera which captures great pictures with AI technology. It even shoots 1080p videos at 30fps. You can also use the selfie camera for Face Unlock. Under the hood lies a MediaTek Helio P22 SoC, a quad-core processor with a clocking speed of up to 2.0GHz and an IMG PowerVR GE8320 GPU suitable for gaming. This offers better performance and with the 3GB RAM and 32GB ROM, multitasking with this phone and playing high-end graphic games won’t be an issue. The S4 Pro variant even offer a whopping 6GB of RAM and 64GB expandable up to 256GB via an SD card. The device also features Andriod 9.0 Pie out of the box with Infinix’s XOS Honeybee 4.0 wrapped around it. There is a long lasting 4,000mAh battery with Infinix fast charging Technology. On this device, you can make calls and browse on all networks including 4G LTE. Other connectivity options include GPS, Bluetooth 5.0, WiFi, WiFi Direct, and Hotspot. Finally, it has a 3.5mm earphone jack and a MicroUSB port for charging and mass storage. Infinix Hot S4 is now available in stores and price starts from N49,900. You will be able to also buy Hot S4 from Jumia, Konga, Finet, Slot, AliExpress etc. You can see that Infinix S4 is a very good phone ideal for gaming, taking awesome photos, selfies and also for heavy multitasking. All this at a decent price tag.